Ajinkya Electronic Systems are also engaged in manufacturing Bank Interest Rate Display. 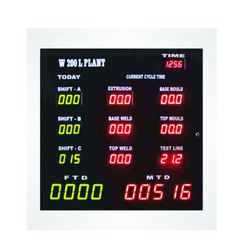 These displays are manufactured in various dimensions. Our Experienced Technical Team designs these display according to client's need. We are highly engaged in manufacturing and exporting these displays. Our display boards are used in public information place like banks,railway stations, multiplexes, restaurant, food courts, commercial complexes etc. We are offering Multicolor Display to our clients. 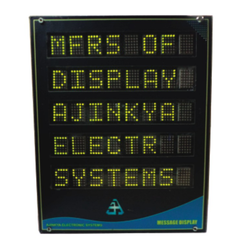 Ajinkya Electronic systems are also engaged in manufacturing range of display systems like scrolling display, message displays, jumbo display, LED displays, advertising displays, industrial led display, information displays, parameter displays, pollution parameter display, etc. Looking for Commercial & Advertisement Displays ?